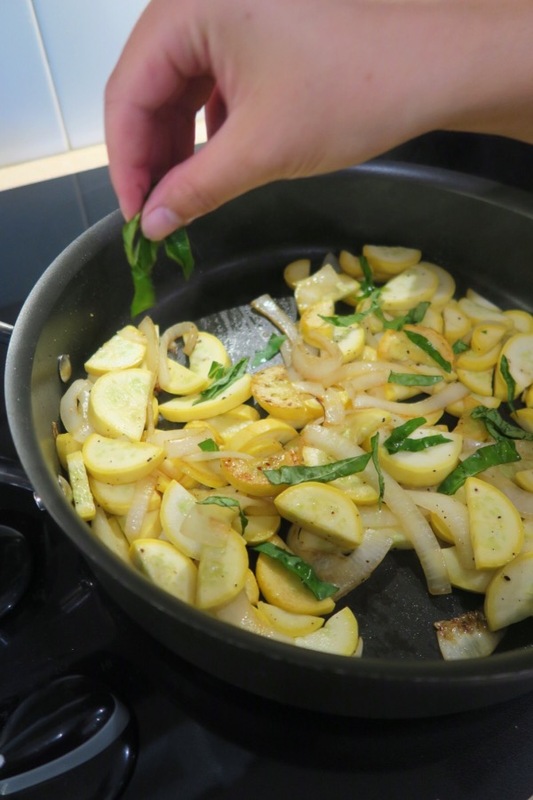 This Quick Summer Squash Sauté Recipe takes just a few minutes to whip up and leverages the naturally delicious flavor of summer squash. By adding onion and basil, you’ll get a wonderful side that multiplies easily. Try it at your next summer potluck! I also love this for everyday eating. We cooked this squash for our Father’s Day / dad’s birthday celebration meal. We grilled burgers and had more sides than I’ve seen in awhile. We also had sauteed shrimp…just on the side. Not even as an appetizer! I guess my family likes shrimp. Anywho, it’s dad’s signature shrimp recipe. He made it all the time before going vegan. I have photos from that dish too and will be sharing a recipe soon. 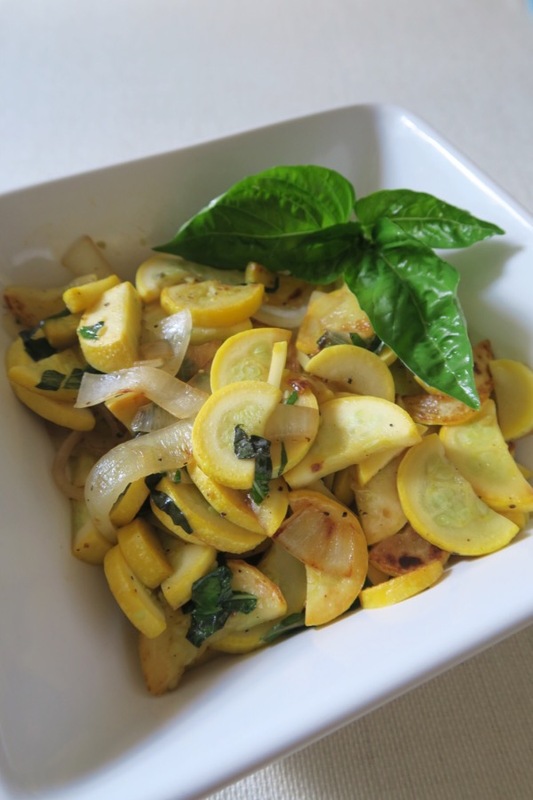 As for this Quick Summer Squash Sauté Recipe. While we cooked enough squash for 5 people, I’ve downsized the recipe for 2 since most recipes on TCL are around that size. My parents have had a garden as long as I can remember. Since we’ve moved around a lot, the garden always changes. Their most recent creation is a thing of beauty. It’s also gigantic and turns out quite a bit of vegetables, which mom’s co-workers love. She brings extras in for free all the time. 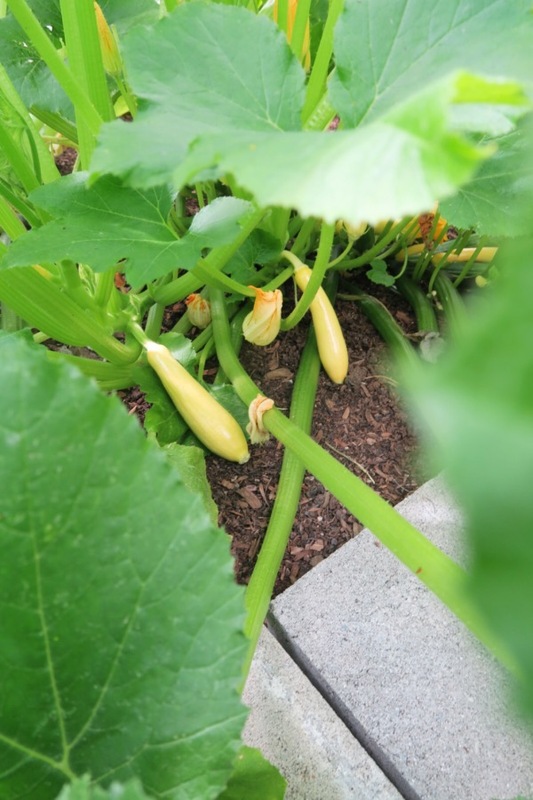 Squash and zucchini are staples in my parents garden. Mom is currently growing two kinds of squash: regular and creamy. I haven’t tried the creamy yet, but it sounds promising. 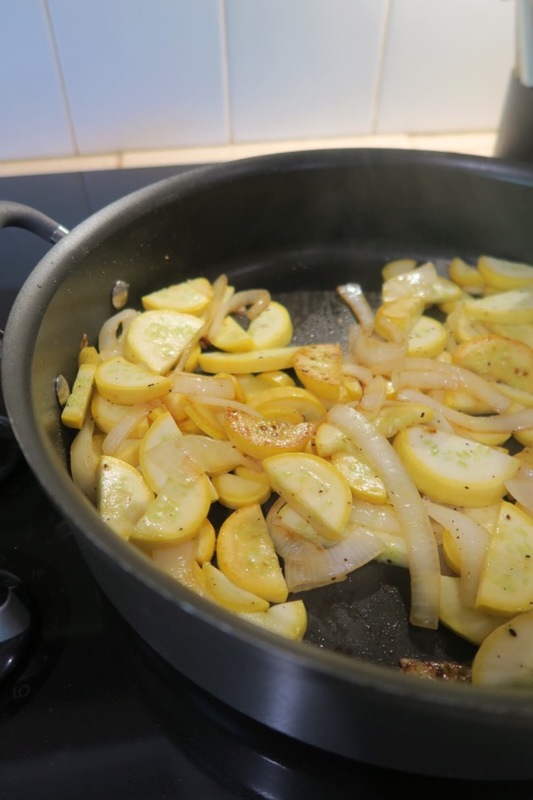 I think we used regular squash in this Quick Summer Squash Sauté Recipe. As I mentioned before, the squash doesn’t take long to cook. But, you can also vary the cooking time based on your texture preference. I like mine crisp-tender, which can take about 4-5 minutes. But you can keep going until they’re much softer. Up to you! Mom said to look for when the squash is just browning (see above photo). And if you don’t have fresh basil, you can use dried. You’ll just need a lot less of it. If you’re using fresh, you can stir it in just before removing the squash from the heat. This recipe is drafted for crisp-tender squash. Cook longer for a more tender squash result. Heat oil in a large saute pan over medium heat. When it’s ready, add onion, and cook stirring frequently for 2-3 minutes, until onion starts to turn translucent. Add squash, salt, and pepper, and cook until edges are just browning and squash is crisp-tender, about 4-5 minutes. Stir in basil and additional salt and pepper, if needed. Serve and enjoy! Thanks for reading! 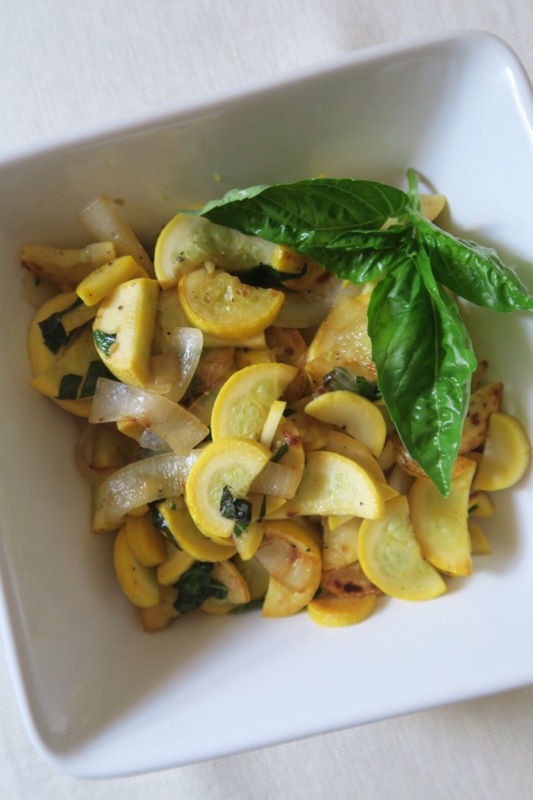 Hope you enjoy this Quick Summer Squash Sauté Recipe! Stay tuned for that shrimp recipe!